[GANESHOTSAV - Started by freedom fighter Bal Gangadhar Tilak as an occasion to bring the masses together irrespective of class, against the British rulers, Ganeshotsav is the celebration of the Hindu elephant deity Lord Ganesha's visit to the homes of devotees. Beautiful, great colors and composition! 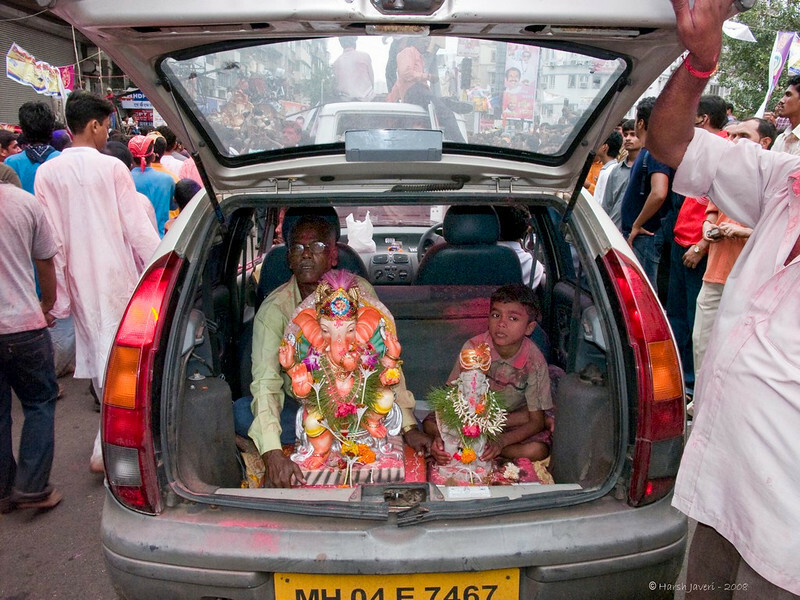 An Indian car(Indica)now becomes a carrier for Indian gods!! !The snap is great and I always admire the fervour and dedication the people have to this adorable Indian god.Great snap!! Nicely captured. Love all the info you put with your photos. very nice and interesting Harsh. Great shot and very interesting!